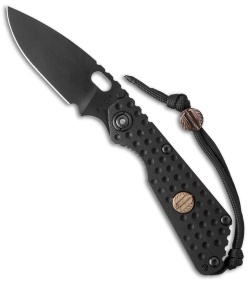 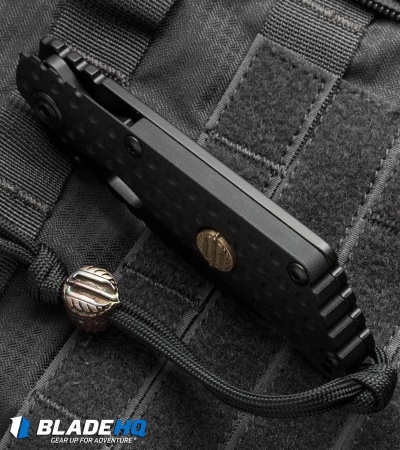 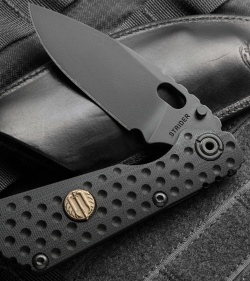 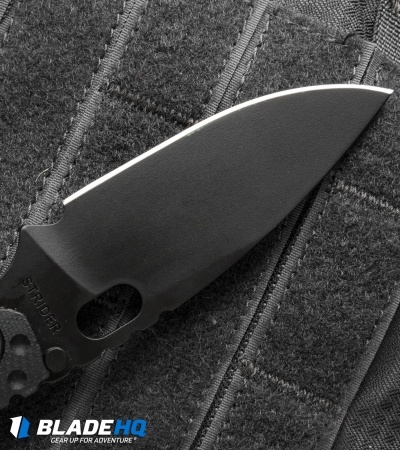 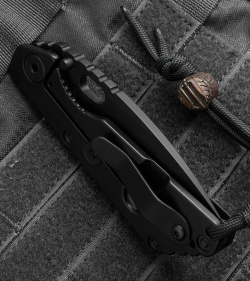 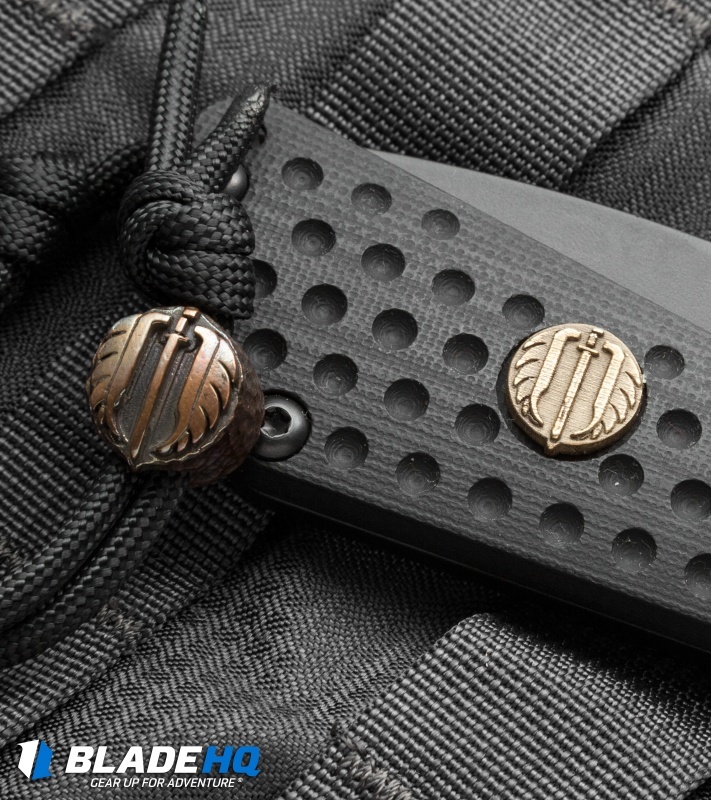 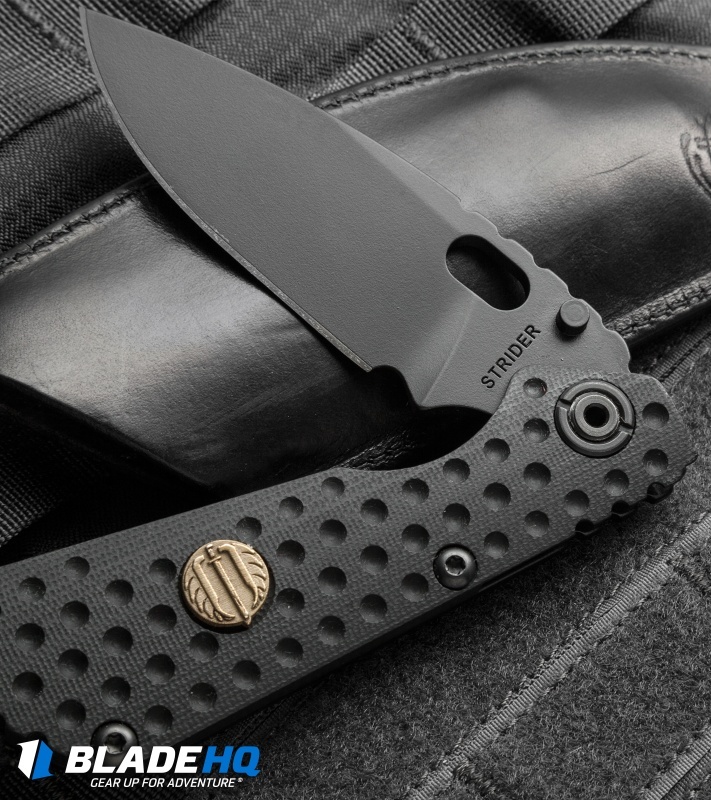 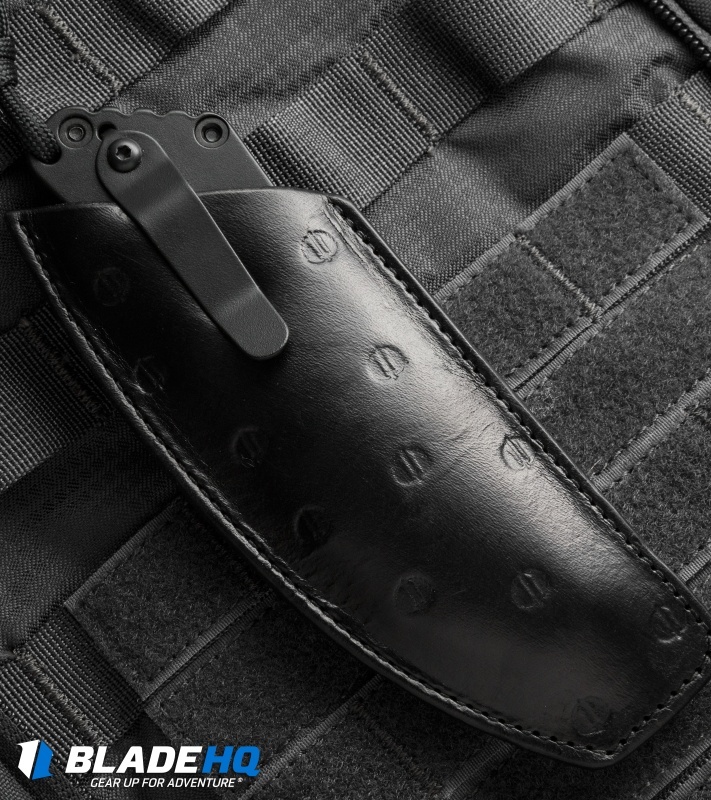 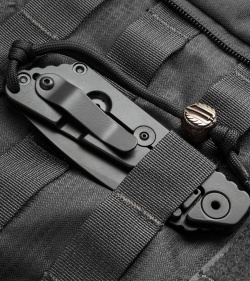 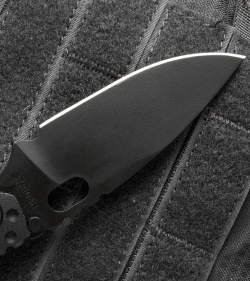 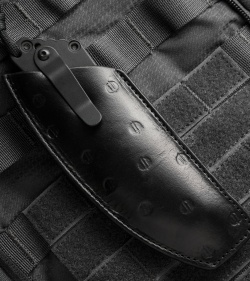 This fine Strider SnG folder is distinguished with a CC-pattern black G-10 handle that features a dimpled pattern and a bronze FWP shield inlay. 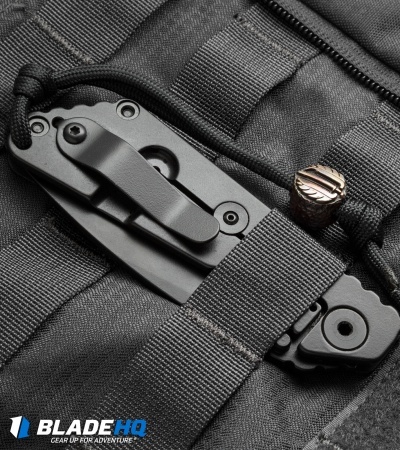 The blade, framelock, and hardware are black finished. 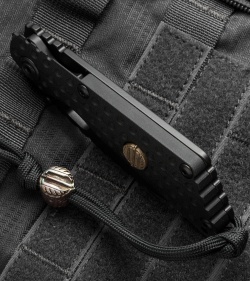 A Starlingear FWP heat colored bronze bead and Everett custom leather sheath round out the package.